This past Wednesday, we had another successful shoot for No Sleep For Ronni. The Phoenix, Arizona location was generously provided by the Director of Photography, Terry Hogan. He also happened to provided the video gear to shoot it with including his Canon C200. Also on crew was Steve Fellhiemer who ran second camera as well as taking on grip and photographer duties. Micha Jackson was invaluable as the production assistant who carried around the iPhone so director, Robert Lughai, could be present from his Madison, WI location. ERNEST DIDDE ESTEBAN, VERONICA NARANG, NADINE JACKSON. The shoot was broken up into two parts. First we filmed Nadine Jackson who plays Nurse Nia, the hero's ally. We knocked off four different scenes throughout the house, plus a couple on green screen. None of these required audio recording so our shoot times were expedited greatly. MICHA JACKSON, TERRY HOGAN, STEVE FELLHIEMER, NADINE JACKSON. 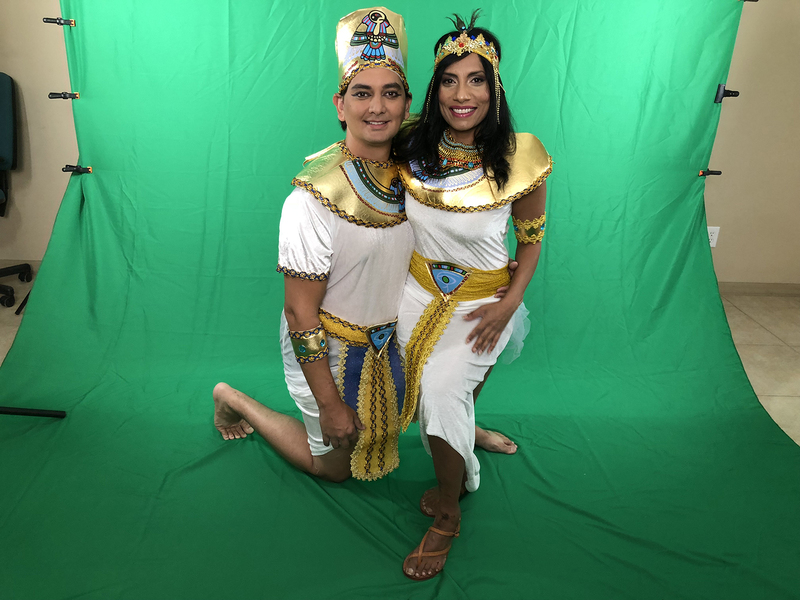 The second half of the shoot featured Veronica Narang and Ernest Didde Esteban in an Egyptian sequence. 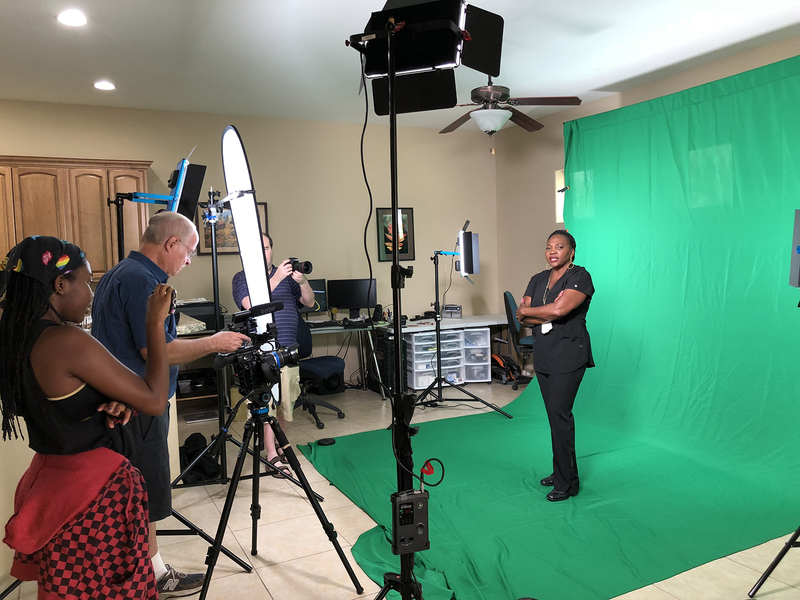 The scenes reoccur throughout the film, so we needed numerous different takes, all on green screen and again without the need for sound recording. Got them all in before the wardrobe started to fall apart, just barely. We're starting to get the hang of this long distance production. And of course working with an experienced cast and crew like this truly makes everything flow much smoother.